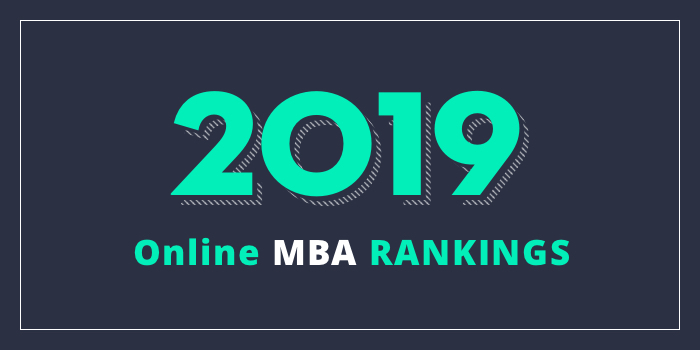 Our 2019 list of the Top 25 Public Online MBA Programs in the US. For an explanation of ranking criteria, click here. The Kelly School of Business at Indiana University offers a flexible online MBA program, known as “Kelly Direct Online,” that allows students to customize their experience by selecting 12 credit hours of electives to create a specialized area. The program offers the opportunity to complete a dual MBA/MS degree with an Online MS in Business Analytics, Entrepreneurship & Innovation, Finance, Global Supply Chain Management, IT Management, Marketing or Strategic Management. This may be accomplished with only 12 additional credit hours. Warrington College of Business at the University of Florida (UF) became one of the first schools to offer a fully accredited, 100% online MBA program in 1999. The school says that the “innovative 24-month option does not require a single campus visit.” The school has two additional options including an Accelerated Online MBA that allows students to complete the program in just 16 months and a “two-year” option, which takes 27 months to complete. University of Maryland’s (UMD) Robert H. Smith School of Business offers an online MBA program with six specializations. Options include Accounting, General Track, Finance, Information Systems and Business Analytics, Marketing, and Supply Chain Management. The program is largely asynchronous, which allows students to continue to meet personal and professional obligations during their course of study. The AACSB-accredited Naveen Jindal School of Management (JSOM) at the University of Texas at Dallas (UT Dallas) is home to the Professional MBA (PMBA) Online and Professional MBA Flex. The PMBA Online utilizes "streaming audio lectures, video clips, online exams, online submission of assignments, and interactivity for group projects using discussion forums, email, and web conferencing," says the school. The program, which consists of 53 credit hours, also highlights 24 hours of electives, along with an impressive 13 double MS/MBA options, including STEM, and 15 concentrations. Just a few concentration options include Accounting, Information Systems, Innovation and Entrepreneurship, Marketing, Real Estate, and Supply Chain Management. In addition to STEM, MS options include Healthcare Leadership and Management, Innovation & Entrepreneurship and International Management Studies, to name a few. The Professional MBA Flex offers all the benefits of the PMBA Online, but students can take classes on a part-time basis, usually six semester credit hours (two courses) per semester. All Online PMBA and Professional MBA Flex students are encouraged to participate in the school's International Study Programs, which "give direct exposure to business in a global context." Besides offering Exchange Programs and International Internships, the JSOM Study Abroad Office has conducted more than 35 faculty led international study trips in 16 countries for the past 15 years. Students can take up to 72 months to finish the PMBA Online, however, the program may be completed in as few as 16 months. There are no on-campus requirements for this program and students have full access to MBA Program Office and Jindal School Career Management Center staff. Pennsylvania State University (Penn State or PSU) offers an Online MBA led by the Smeal College of Business in partnership with Black School of Business, Penn State Behrend; Penn State Great Valley School of Graduate Professional Studies; and Penn State Harrisburg School of Business Administration. This AACSB-accredited program consists of 48 credit hours, including 39 General Management credits and nine credits of concentration work. North Carolina State University’s (NC State) Poole College of Management offers a 40 credit hour Professional Online MBA known as the Jenkins MBA. The program features six “Depth Areas,” comprised of the same functional area options as concentrations, but with fewer credit hours required to graduate. Areas include Biosciences Management, Entrepreneurship & Technology Commercialization, Financial Management, Innovation Management, Marketing Management, and Supply Chain Management. This AACSB-accredited program also offers the opportunity to earn Decision Analytics or SAP Certification. SAP is the world's largest enterprise applications software company, with a wide range of software used by more than 38,000 firms in over 120 countries. Washington State University’s (WSU) Carson College of Business offers a 36 credit hour online MBA with four concentrations and a General Track. Concentrations include Marketing, Finance, International Business, and Hospitality Business Management. The program may be completed in as few as 22-29 months and the GMAT is not required for qualified applicants. Auburn University’s Raymond J. Harbert College of Business offers a video-based Distance MBA that may be completed in 2.5 years, part-time. The 36 credit hour program offers an optional three-day orientation at the beginning of the program and a three-day on campus residency on the Wednesday, Thursday, and Friday before graduation. Otherwise, all coursework for the program is delivered through the University's online student learning platform CANVAS. Students use CANVAS to view lectures, work with team members on group assignments, ask questions and hold discussions with professors and classmates, submit homework, and access course materials. The lock-step curriculum allows online students to watch the exact same lectures, take the same tests, and communicate with the same professors as on-campus students. The Eller College of Management at the University of Arizona offers a 100% online MBA with six starts per year (every eight weeks). The program requires 14 core two-unit courses and 17 units of electives for a total of 45 units to graduate. Six concentrations are available including Entrepreneurship, Health Care, Finance, Management and Organizations, Management Information Systems, and Marketing. Also known as the OMBA, the Eller Online MBA highlights 24/7 asynchronous delivery of content that minimizes students’ time away from work and family, the option to decide how many courses to take at a time (take up to six years to complete the program), and AACSB accreditation. Although students can take up to six years to complete the program, full-time students may graduate in as few as 14 months. Florida State University’s College of Business (COB FSU) offers two online MBA programs. Prospective students may choose between the Online, Part-Time MBA, and the Online, Part-Time MBA with a Real Estate Specialization. The 39-credit hour Online, Part-Time MBA offers a General Track or a specialization in Management Information Systems or Risk Management and Insurance. The program may be completed in two to 2.5 years or seven semesters. The University of Wisconsin (UW) Consortium MBA is the only program among UW’s peer consortial programs to grant the degree from the MBA Consortium program rather than from one of the partner schools. Available through all UW campuses (except Madison), the UW Consortium MBA features “content-integrated, theme-based modules rather than traditional stand-alone courses,” says the school. “By blending integrated core courses with a vast array of electives,” students can customize their MBA experience. Coursework for this AACSB-accredited program may be completed entirely online and there are no campus requirements. The 30 credit hour program is designed for working professionals looking to advance in their respective career fields. The online format allows students to continue working while completing the program, which typically takes 2.5 to three years, once foundation requirements have been met. The University of Massachusetts-Amherst (UMass-Amherst), Isenberg School of Management, offers a 45 credit hour online MBA that offers six focus areas including Business Analytics, Entrepreneurship, Finance, Healthcare Administration, Marketing, and Sport Management. Fully accredited by the AACSB, the Isenberg MBA also offers a unique opportunity for students to “try before you buy.” Potential MBA students can take up to two classes before applying to learn why the program is a good fit. Louisiana State University’s (LSU) E.J. Ourso College of Business is home to the Flores Online MBA Program. This AACSB-accredited MBA is designed for professionals with at least five years of work experience and it offers six start dates annually. Students in the program are required to take 14 courses (42 credit hours) and they may choose elective courses to create a focus. A few options include Negotiation, Persuasion and Influence, and Seminar in New Developments in Business Administration. The Spears School of Business is housed within Watson Graduate School of Management at Oklahoma State University (OSU). Here, students can earn a 42 credit hour part-time MBA and a 43 credit hour full-time MBA. Concentrations for both programs include Business Sustainability, Data Science, Energy Business, Entrepreneurship, Global Marketing, Human Resource Management, Information Assurance, Marketing Analytics, and Non-Profit Management.